Trading in the Forex Market is stressful enough, not to mention those long hours, so we have designed our Client Portal to be as streamlined and easy to understand as possible. Our job as your Forex Broker, excuse me, as your Forex Trading PARTNER is to make things easier for you to be successful, and we take that job VERY seriously.. 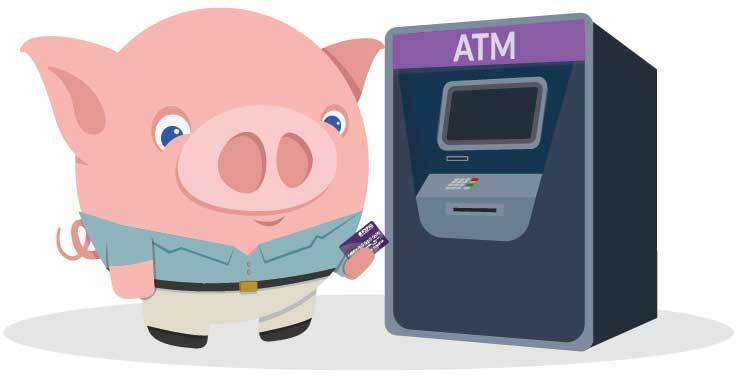 In an effort to maintain our commitment to having the most satisfied client base in the industry FXPIG™ only offers secure and stable funding methods. For some reason it always seems easier to fund your account at some Forex Brokers than to request a withdrawal. Not here at FXPIG™. Simplicity leads to efficiency. 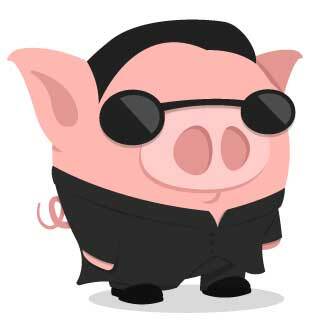 *FXPIG does not charge you to move money back to your Skrill or Neteller Accounts, however both of these gateways do charge fees, 1% and 2% respectively, on our side when processing the transfer. Your final withdrawal is NET of those fees. 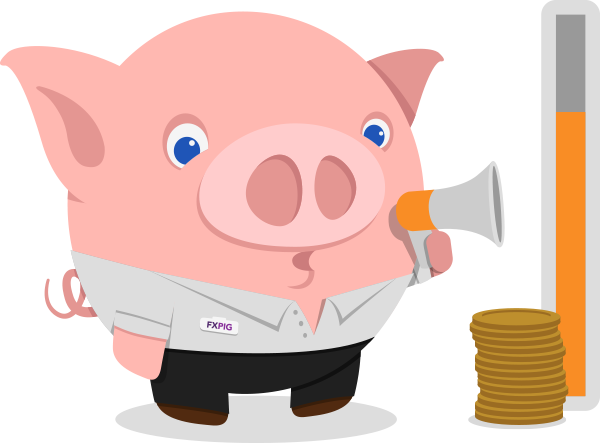 ** Due to the change of regulations Skrill has notified us that, from Nov 30th, they will not allow anymore EEA and UK clients deposits and withdraw to and from FXPIG Skrill account. Not all Forex Traders trade the same so why should they all trade using the same interface? 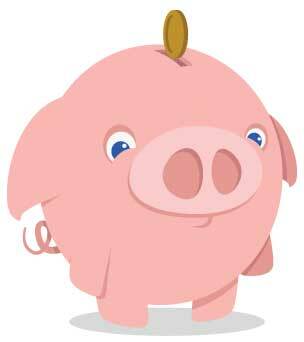 FXPIG™ offers you a choice in platforms to align your specific needs with the right technology. Given how modest we PIGs are we can't just say we are the BEST FOREX BROKER around... but there it is, it's out in the open now. Seriously though, we are pretty AWESOME. A true heavyweight in the retail FX space with nearly 80% of all retail volume following through it’s software. The FXPIG™ MT4 platform brings the usual and expected MT4 feature set to the table along with a depth of market panel, one click trading, and customizable PAMM & IB solutions. While the cTRADER Platform may be a relative newcomer to the industry the platform’s developers have ample experience in the currency markets and it shows from the minute you launch the software. Designed with the professional retail and institutional level trader in mind. Looking for the lowest latency possible? Or the ability to trade your own black box algorithm? Or maybe you have your own platform and you want access to our menu of Custom Liquidity options? In either case FIX is the solution. Contact us for more information and to get your account setup today. 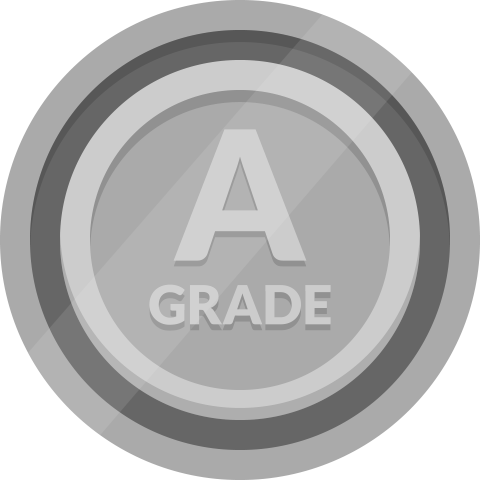 *The normal commission rate for cTrader™ is 30 per million, however until further notice we are offering the same rate on all cTrader™ accounts as we offer on both MT4™ and FIX API. We don't like to follow, we are leaders, and as such we are tired of trying to define our superior infrastructure using antiquated acronyms... So we crafted our own. Our Single and Multiple Point Aggregation feeds are aptly named and cover all types of trading strategies, created to make your trades more profitable. Its time to JOIN the MOVEMENT and show the Forex Industry that you simply won't tolerate the old way of doing business. A benefit of being the BEST FOREX BROKER, and obviously the AWESOMEST as well, is we can not only talk about whats wrong with this industry but that we can actually help FIX it. Single Point Aggregation; A single hub aggregation of top tier FX liquidity customized to our clients trade flow. A Prime Broker Offering direct to the retail FX world. Multiple Point Aggregation; An aggregated feed of pre-aggregated liquidity which includes a multiple venue matching engine. A true work of FX art. Venue specific liquidity, alternative pools built on larger non-bank MM flow, available to trade on MT4 and via FIX API out of LD5 and NY4. Click below for more details. **Accounts trading on leverage higher than 1:200 (0.50%) will have their stop out level moved from 50 to 100% automatically. If you wish to trade on a 50% Stop Out you must choose 1:200 (0.50%) or less when creating your account. ***Any dividend costs related to short trades taken on Equities will be billed post trade based on the rate applied by the executing liquidity provider. Please note that these charges can range up to several thousand USD per standard lot. If you are not sure of the possible costs please ask us BEFORE you open a position. When trading in a market that operates 24 hours a day and 6 days a week having immediate access from anywhere you may find yourself is not a convenience but a necessity. Stay connected to the FXPIG™ MT4 and cTrader’s platforms while on the go from your iOS or Android mobile device using the Official Metatrader 4 and cTrader Apps available in the Apple App Store or the Google Play Marketplace. 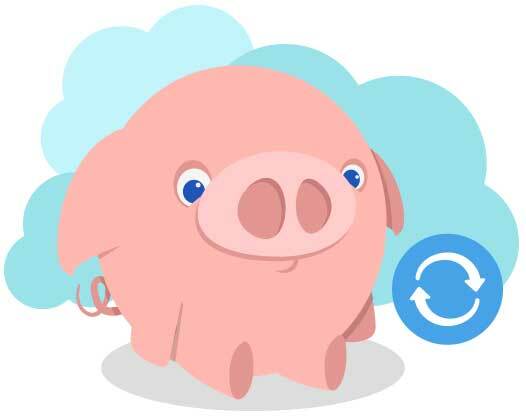 So, you ALREADY know PIGs are TRANSPARENT, LOYAL, SMART, DEDICATED, modest, of course, and man, doesn't it make sense to trade with a Forex Broker who is DIFFERENT? Instead of a run-of-the-mill churn 'em and burn 'em, you're nothing but a number, bucket shop?... From one PIG to another, what are you waiting for? It's not what you see it's what you don't. Most brokers spend more time making sure that their marketing efforts are fine tuned rather than their underlying technology. While this strategy may work to pad our bottom line we think that effort is better spent making sure you pad yours. Built on top of a solid VMWare Core our Virtual Private Data Center is a super redundant powerhouse coupled to the powerful Equinix Date Center Network by way of direct fiber connectivity. This meticulous setup ensures business continuity and allows us to pinpoint any latency or memory leakage issues before they effect your trading. This same VMWare Infrastructure provides us with what we call 'True High Availability', meaning that if a machine within our network fails, a clone of that machine or virtual application instance will be immediately moved to a new server. This is done to try and minimize downtime as much as we possibly can for those 'what if' situations that unfortunately can and do happen from time to time. When choosing a trading venue most traders know to look at the company's spreads, their fee structure, their server locations, the overall trading conditions they provide, and their level of support. These things are all very important, however one thing that is commonly overlooked is the company's complete technological ecosystem. Everyone likes to see their broker housing servers in NY4 or LD4 however if those servers are of poor quality or the underlying infrastructure is not robust enough the location where the server is housed becomes that much less important. At FXPIG™ we do whatever we can to ensure that our clients have every tool necessary to beat the market, after all we are your trading partner not your FX broker. For those of you who just want to trade knowing that it will work, simply put...it does. For those of you who want to know how it works and why our Order Management System is the best option available in this market today, well...read on. Our Exchange Grade OMS is coded in Java, meaning it runs on windows and loves linux. The system is hosted within our own Virtual Private Datacenter meaning there is no added latency to a third party provider. The core of the system is fully scaleable, and new servers can be added when needed to support uninterrupted growth or to balance load between the different engines as the system itself is multi-threaded. In keeping with our policy of providing the best and most reliable trading environment possible the OMS has built in redundancy controls which port the core operations over to a slave machine should the main system fail. The systems makes use of the highly reliable and ultra low latency Java Messaging System API or JMS to send and receive order execution confirmations in order to improve response times and keep the overall ecosystem light and efficient. Want to learn more about the core functionality of our OMS or how our aggregation and matching engines improve your overall trading experience? Get in touch with our techs by clicking here. Equinix and it’s FInancial eXchange are the link between nearly every major financial institution in the modern world. Their infrastructure provides the largest choice of connectivity options to virtually all major market participants allowing for a direct exchange of data over dedicated ultra low latency fiber cross connects. In trading, like in life, timing is everything. A trading opportunity can be had or lost in a fraction of a second. We have rebuilt our trading environment from the ground up to ensure that you, our valued client, have access to the best possible market conditions, and the foundation starts here with the unsurpassed reliability and stability of the Equinix Financial eXchange. When the best solution is your ONLY option it’s nice when that choice is so easy to make. No one knows better about the importance of a solid trading environment than traders themselves, especially a broker, pardon, a trading PARTNER that trades their own proprietary Expert Advisor on MT4 that relies highly on execution speed and overall quality. In this, like in any other competitive industry, a small advantage can quickly turn a failure into a success. FXPIG™ wants it’s clients to win and thus we want them to have every possible tool at their disposal. In order to take full advantage of our Superior Trading Environment a Cross Connected VPS is a must have. Reducing latency is a big part of professional FX trading and every millisecond saved can get you closer to achieving your financial goals. As a Boutique Firm we are always eager to work with like minded Companies who share not only our dedication but our constant drive to better our technology. We have found this with Beeks and are very proud to offer their services to our valued clients. Click on the link below to order your new cross connected BEEKS VPS inside LD4 London. As long as you trade 150 standard size lots each month we will reimburse you for up to 60 GBP to cover 100% of your VPS subscription. Didn't quite make the cut this month? No problem, at just 75 standard lots per month we will reimburse 50% of your VPS subscription up to 30 GBP. All reimbursements are made directly to your primary trading account by the 10th of the proceeding month based on the previous month's volumes. Yeah we offer social trading too, but the difference is... We do it RIGHT. Some folks would say, 'Why try and reinvent the wheel'? What do we say to that you may ask? New ideas create new ways to tackle old problems and while the other guys may be content with using yesterday's technology to trade today's market, we would rather not. High caliber trading on meticulously crafted pricing feeds from some of the best providers in the industry backed by proprietary routing software, all wrapped up in a client centric easy to manage and most importantly, social, client portal. Get followed, be a follower, or simply chat it up with like minded traders, it's YOUR money, its YOUR choice, EMPOWER yourself. 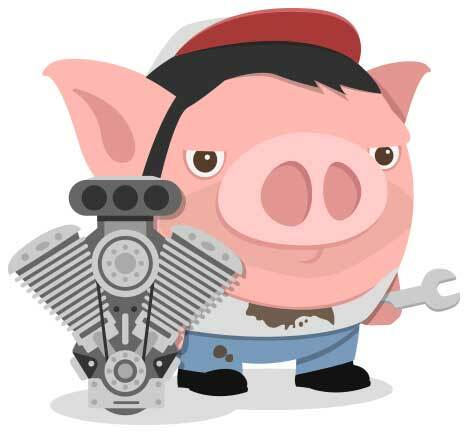 The FXPIG Sharing Hub was created to not only quench your sharing thrust, but to also make sure you're rewarded for your efforts. 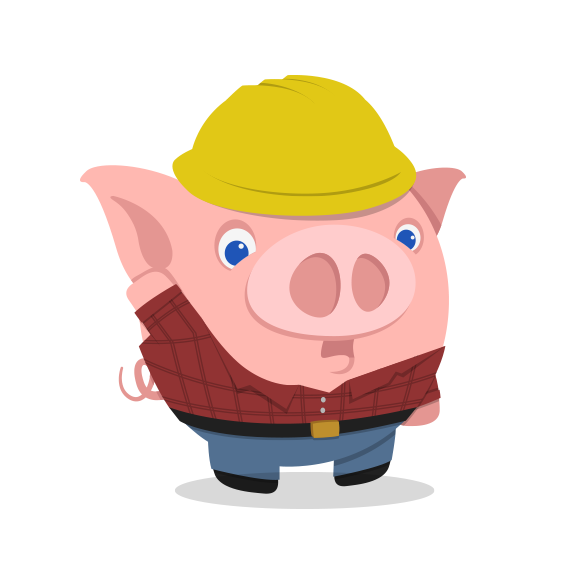 You earn points by sharing your own trades, the trades of other traders you follow, FXPIG sponsored News, or by having people follow your trades. All those PIG Points can then be cashed in for account credits. A simple one stop shop for all things trading and all things social. 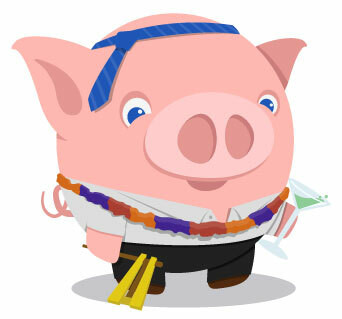 Be SOCIAL and Prosper with FXPIG. Did we mention PIGs are SOCIAL? If not, they are, and we carry this social attitude into all things PIG, including our client-centric, knowledgeable, and downright AWESOME Client Help Desk. We believe in building long lasting relationships with our valued clients and this philosophy starts with our ‘one on one’ approach to customer support. You can be sure that we will always strive to surpass your highest expectations.